Equity markets are continuing the tone set in the previous session Wednesday with post-Brexit nerves easing amid bargain buys for stocks. Oil prices have also continued rising overnight amid fears of a strike which could hit Europe’s biggest oil producer Norway by the weekend. 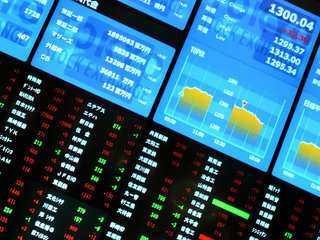 Asian markets closed higher, led by Tokyo, as the stronger lead from Wall Street helped boost confidence. Australia’s big banks were among the sectors to see gains following the sell-off Monday. European indexes are also higher; London and Paris up more than 1.5 per cent and Frankfurt up more than 1 per cent. UK prime minister David Cameron met EU counterparts at a dinner Tuesday and while no firm talks will take place until Britain triggers Article 50 to begin its exit from the bloc, informal talks were said to be constructive. The leaders of Canada, US and Mexico meet Wednesday to discuss trade among the North American nations. With Donald Trump saying that he will want to make changes to the North American Free Trade Agreement – or possibly end it – if he becomes president, Canada and Mexico will be particularly keen to forge a stronger alliance. Justin Trudeau told reporters Tuesday that protectionism was not the way forward: "Better partnerships are a path to prosperity and that's a compelling example that we want to showcase at a time where unfortunately people are prone to turning inwards, which will be at the cost of economic growth and their own success."